As the Black Friday shopping carnival is about to end, here is the first Cyber Monday drone deal. Now, you can find the GPS enabled MJX B2SE drone with brushless motors and 1080P camera for only $128. The B2SE is the upgraded version of the popular Bugs 2C. 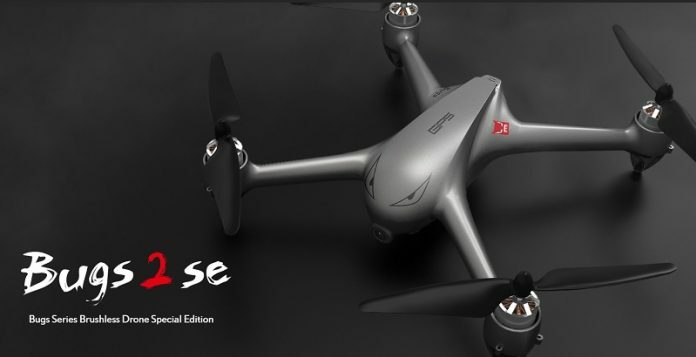 While the new Bugs 2SE adopts similar design and same type of 1800KV brushless motors as its predecessor, it comes with plenty of new cool features. 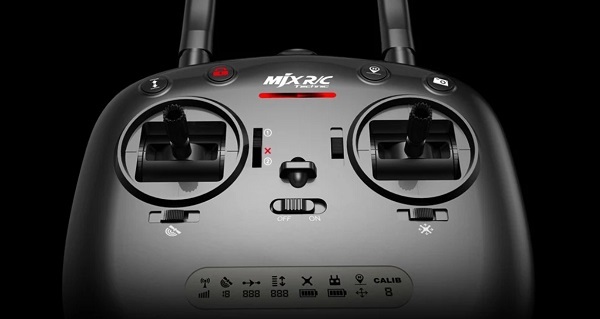 Contrary to the Bugs 3 Pro, which was designed to carry a GoPro or alike camera, the MJX B2SE comes with its on-board Full HD camera. In order to display the camera’s live-video feed, you will need a 5G WiFi compatible mobile device. The Bugs GO App is mandatory for FPV flights as well as for intelligent flight modes (like Follow me & Circle hovering). During night flights, you will be guided by four LED lights (RED in front and Green on rear). Thanks to the fail-safe return to home, in case of RC signal loss or low flight battery voltage, the drone will autonomously return to the take-off point (good satellite coverage needed!). WiFi real-time image transmission (FPV). According to the manufacturer’s specs, the 2s/1800mAh LiPo battery allows up to 18 minutes of flying time. MJX packs their B2SE drone with a nice transmitter with two way communication. Even it has fake dual antenna system, it allows up to 300 meters control range. On front panel, besides the usual control sticks, there are 4 trimming switches and 4 control buttons. The MJX Bugs 2 SE quadcopter is sold by TomTop as RTF (Ready to Fly) package, this means that is delivered with transmitter, phone holder, battery and balance charger. Furthermore, you will also receive one set of spare propellers, as they are most likely to break during crashes. You can check here for more after Black Friday deals. Note: there is a limited quantity and 14 pieces of Bugs2SE are already sold from the total of 200 pcs available. For more details, check our recently published Bugs 2SE review. Those “dual antennas” are fake.